Apri 2010, and three of our Ragazzi headed south to ride the Gran Fondo Felice Gimondi. Our prize fighter and designated leader was Ron Collins with Nick Walker and Colin McDonnell supporting. 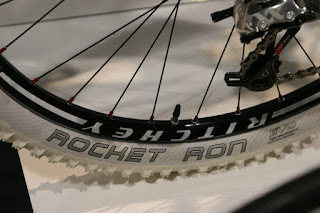 With his supple riding style and Campagnolo equipped De Rosa Titanio, he was suitably equipped, too. Ron had the win in his age group in his sights; he had placed 3rd last year and had been training long and hard with this tagged as a peak in his schedule. All went well; the time of 5:57:07 looked good but as the boys checked the results, they realised the age bands had been changed and Ron's time was now included in a lower age category. The old master 5, 6 & 7 had been combined into one. Conspiracy theories abound on this. Were the Azzuri desperate to ensure a home win? We think Ron would have clinched it without this last minute reshuffle. 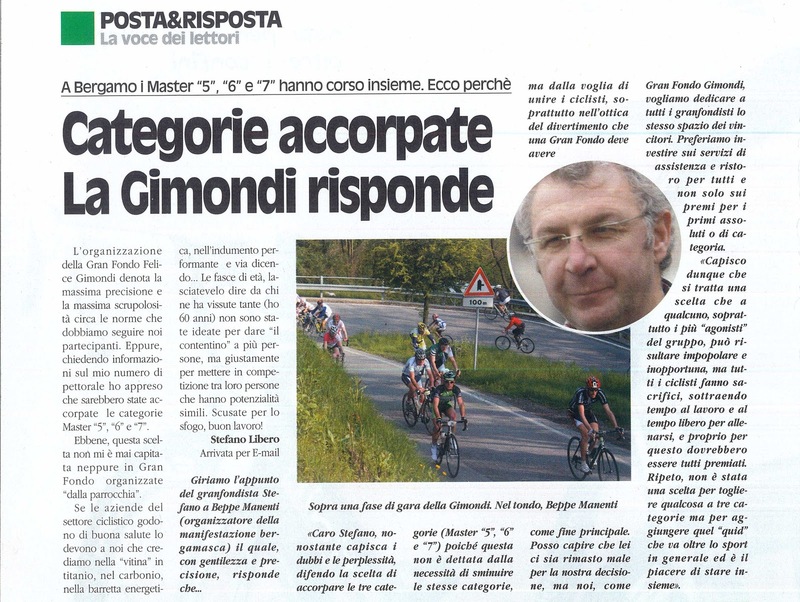 Interestingly, the change was significant enough to warrant a special article in one of the biggest Gran Fondo magazines in Italy. Note in the picture, Ron is shown riding 3rd wheel. Were they already on watch? Anyway, another great ride by our master, who exemplifies the principle that you don't need to slow down too much as you get older and shows many of us that there is stil plenty of time for our physical peak.